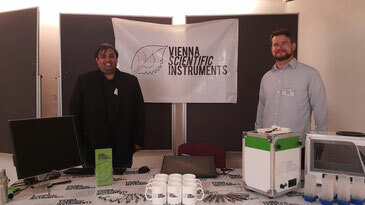 Vienna Scientific Instruments GmbH is an Austrian engineering company located in the border region between Vienna and the state of Lower Austria. We are a group of skilled and highly motivated engineers and scientists, technicians and business administrators committed to improve the human condition through providing innovative, accurate, user friendly, and dependable research tools for field and laboratory use that help scientists solve the challenges that face humanity. People are at the heart of VSI - we achieve great things because we build on our strengths and work as a team, with integrity and enthusiasm. From the executive team to our newest intern - we all make a difference. In the field or the laboratory, studying plants, animals or the abiotic environment, Vienna Scientifics' devices always fit your needs because they are developed in this collaborative atmosphere including the experts into the process - YOU! 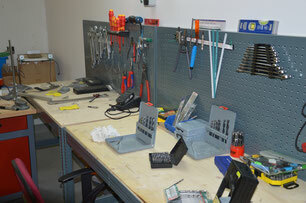 We assure personal dedication and full commitment to our customers’ needs. We would like to take the opportunity to thank our partners for their valuable input and the technical challenges they allowed us help solving. We wish you most success in all your future endeavours and hope to continue to be part of your research. Count us out! Vienna Scientific Instruments does not develop, build or supply equipment which will be used in consumptive experimentation on vertebrates. In 2016 we moved to Bad Vöslau for an larger set of production equipments including several 3D printers technologies and a portal milling machine - enhancing our in-house capacities and thus delivery time. However, we have recently relocated our offices and workspace again to new, even larger premises at Alland, Austria! Please note the new address and drop in for discussing your instrumentation needs and hands on experience of our devices! Read more about our relocation to Alland. We at Vienna Scientific Instruments are committed to value oriented quality from the perspective of the customer. Quality is primarily dependent upon individual commitment and acceptance of responsibility by each employee for the quality of the products and services offered, both internal and externally. Efforts of continuous improvement focus on enhancement of products, process reliability and customer satisfaction. We understand the importance of service quality, customized solutions and mutual trust.